Eventually with the passage of time, tax negligence could become a bigger problem and could complicate life of a person. 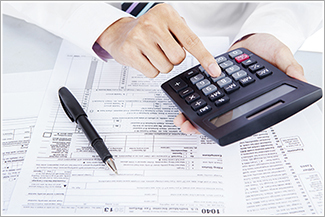 The Indian Tax structure is complex, which is difficult for a common man to comprehend. Many times in absence of proper information and lack of awareness individuals neglect their tax formalities altogether. Eventually with the passage of time, tax negligence could become a bigger problem and could complicate life of a person. It is duty of every individual, falling within the ambit of taxable income, to file taxes and reach out to tax advisors in case of doubt. The importance of doing so could be understood from the consequences of not filing taxes. Income Tax Notice Under Section 142(1): Ignorance in filing returns could get you an income tax notice, carrying a deadline for taking action. The first and foremost way of dealing with such notices is to contact a tax expert and do the necessary task as asked in the notice. You have to send a proper response to such tax notices within the given timeframe. Prosecution Under Section 276CC: An individual or partner or director on behalf of a company could be proecuted in case of failure of tax filing within the time period or the extended time mentioned in a tax notice. The whole liability shifts on the tax payer to give a valid reason for not filing tax on time. Under the section, an individual would be liable to pay penal interest and could be prosecuted for imprisonment of three months to seven years along with a fine. Carry forward of losses not allowed: Income tax provides for the provision of carry forward of losses of the taxable year to forthcoming years to be set off against appropriate heads. But such provision is not allowed if the taxes are not filed within the stipulated time period. Attract Penalty: Tax returns when filed late will attract penalty of Rs. 5,000 over and above the income tax payable. Thus, a person might not have any income tax liability as such considering the exemptions and deductions, but if the returns are not filed then he has to pay Rs. 5,000 as penalty for not filing returns on time. Interest at the rate of 1%: Failure in filing returns could lead to liability of interest payment under Section 234A. Under which, a tax payer would be required to calculate an additional 1% interest on outstanding tax from the due date to actual date of filing tax return.